Today was November’s fancy breakfast date with Nic. 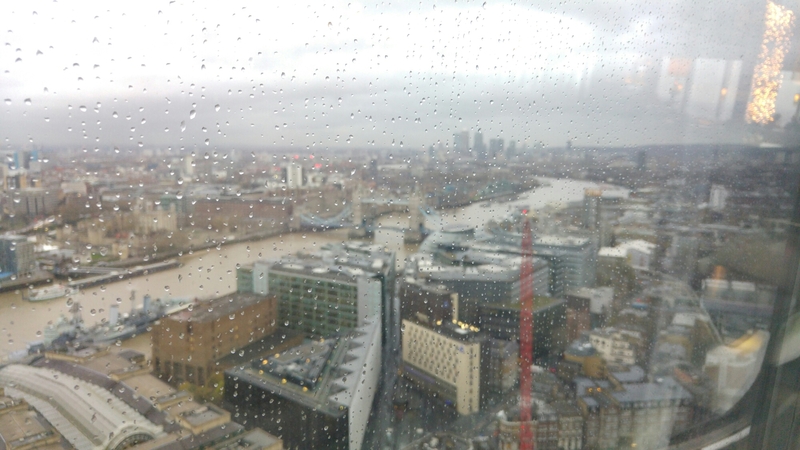 It was my month and I chose Aqua, a restaurant on the 32nd floor of the Shard. It won for “most expensive full English” so far but it was certainly worth it for the views alone. It drizzled a bit so we didn’t really get the full sun rise experience but it was a lovely treat before work!